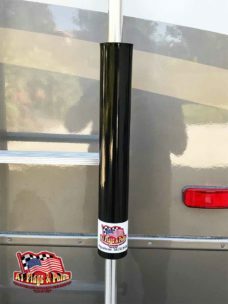 The Ramp Flagpole Mount is designed to attach to your toy haulers and any RV with a rear ramp. 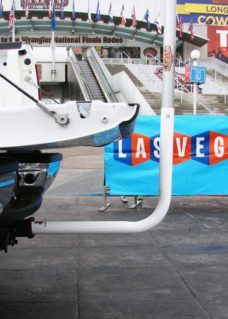 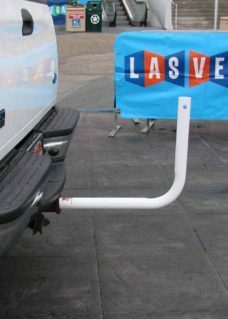 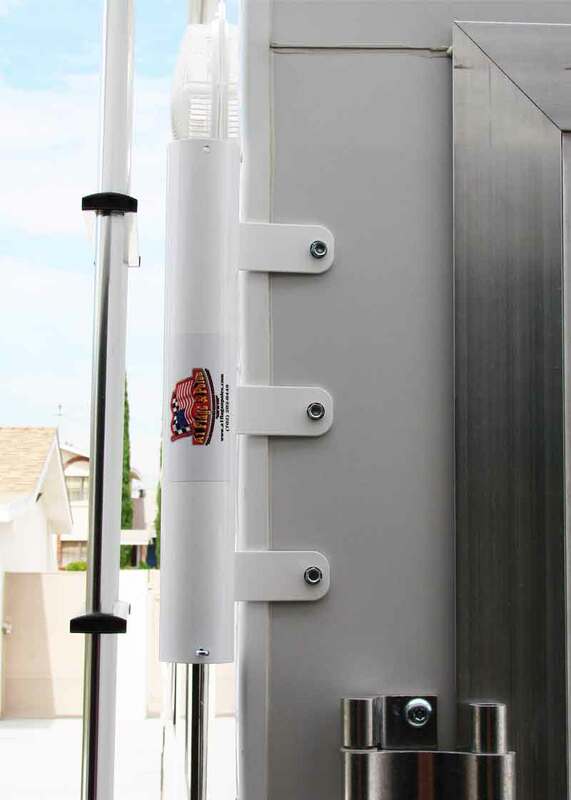 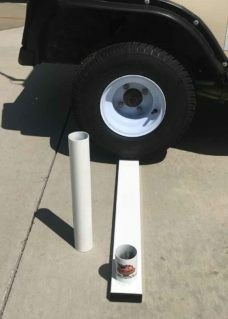 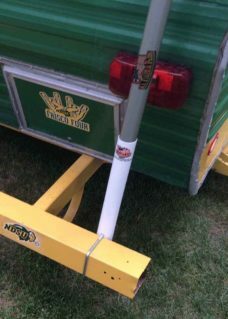 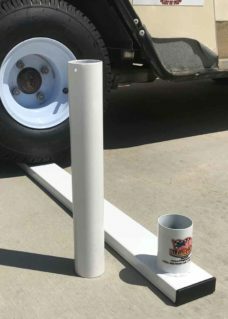 Attach the Ramp Flagpole Mount to your toy haulers, trailer and any RV with a rear ramp. 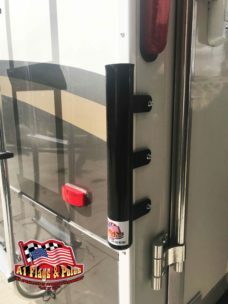 Great for toy haulers and any trailer with a rear ramp. 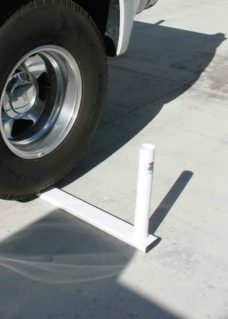 May be used with the ramp down or in a closed position. 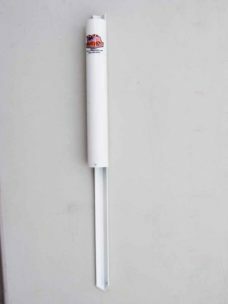 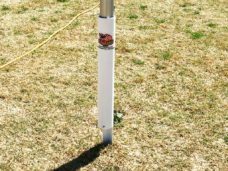 Use our 22′ heavy duty fiberglass telescopic flagpole. 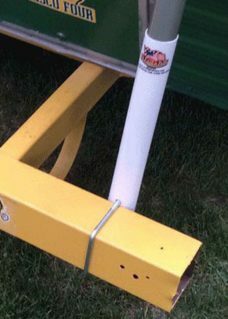 4 reviews for "Ramp Flagpole Mount"
Well built, fits holes snuggly. 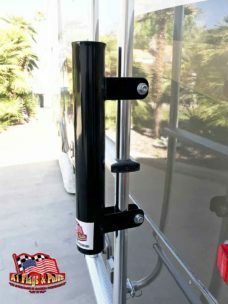 Self tapping scews included was a bonus! 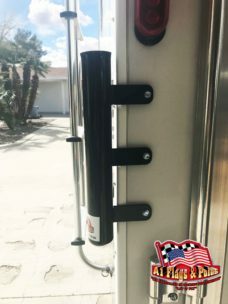 Solid mount, absolutely no issues!